We have with us extensive industry experience in successfully matching up with the emerging market demands of Multiuse Drivers. 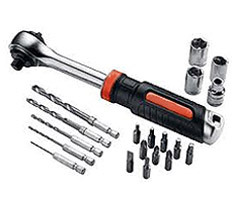 These comprise Rachet T Driver which are 6 in 1 Multi-Use Drivers and come patented with folding T-handle which helps in generating 5 times the torque of conventional screwdriver. 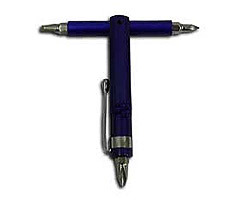 Other than this, we also offer under this Pocket T Driver which is again a 6-In-1 Multi Driver and is available in lightweight finish and versatile applicability. Ergonomic design is versatile and provides excellent ieverage. Double ended bits are made from premium tool steel. Plated folding T-handle generates 5 times the torque of a conventional screwdriver. Ergonomic design is lightweight, versatile and provides excellent leverage. Compact size includes convenient pocket clip.